A summary of reasons why you’ll benefit from using the VolScan Profiler. ... and say goodbye to inaccuracy, mess and frustration. 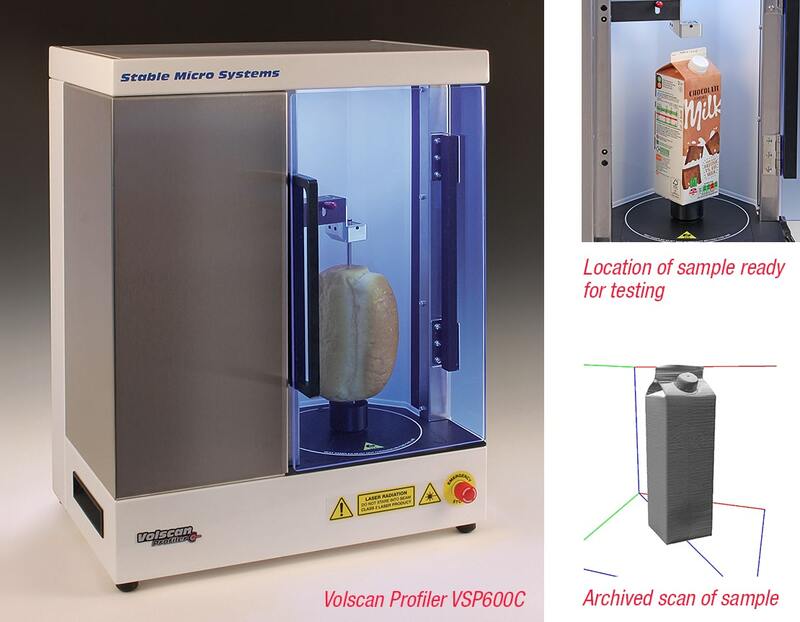 The VolScan Profiler enables the rapid 3-dimensional digitisation of products which can be archived and then treated mathematically to yield detailed dimensional information for immediate use or future retrieval. Why measure Volume alone, when you have the ability to automatically calculate several related parameters, such as density, specific volume, surface area, height, width, length and weight etc..? A measurement is only worth performing if it’s accurate. This is why you’ll want to have control of instrument calibration and the means of verifying that the instrument is measuring accurately by testing a ‘Known Volume Verification’ ball. The instrument will verify that the ball correlates with the measurement values as provided by the manufacturer so that you can continue your product testing feeling confident that your instrument performance has been checked. 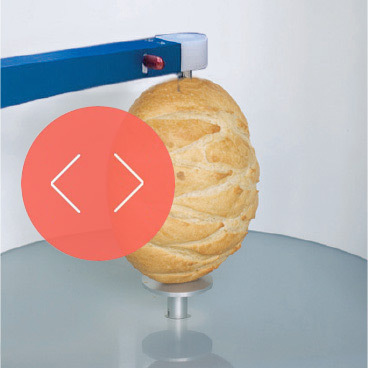 ... with the highest accuracy and more scope in parameters and breadth of bakery samples than any similar Method using competitive equipment. Why measure Volume alone when we’ve proven the accuracy of measurement of a wider set of product dimensions? Appreciate the scan detail in every plane. The scanned data can be viewed in both 2D and 3D representations to allow comparisons with previous archived measurements. Within the 2D sectional view, additional manual measurements can be made on chosen intervals. 3D views of the product are rotatable in all planes providing flexibility of viewing for visual comparison and presentation. Provided by a built-in spreadsheet for data collection and statistical manipulation. There is no need to export data to another spreadsheet program, as the VolScan Profiler software has its own integral spreadsheet, but Exporting to Excel is also an available option if preferred. A report template is available into which your data can be dropped and automatically positioned with test data fields or modified using full Report Editing tools. Alternatively, images and data can be copied and pasted into other applications. Allowing quick product information entry and reducing user error. This device would attach via the USB port on the PC. For heavy soft samples (e.g. 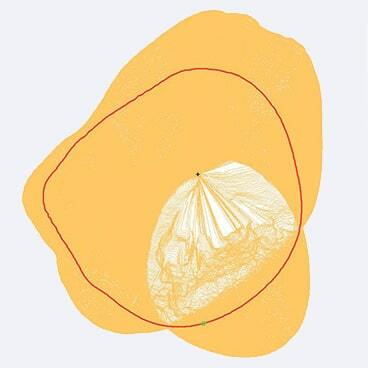 sandwich cake) or delicate samples, the centrifugal force created during the rotation can distort the sample or cause it to fragment or wobble and therefore a slower rotational speed is recommended. The fast speed provides the quickest scan times, but can affect the integrity of some products and produce less accurate results. By customer request, we have implemented a means of testing multiple products simultaneously, followed by post-test analysis of the data of each sample piece. 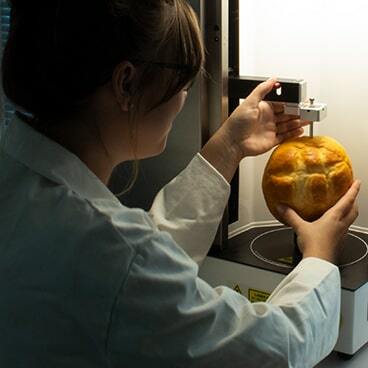 One such example is in the testing of multiple bread rolls, the objective being to save time, to give an average volume and weight and then create individual scan files of each roll. 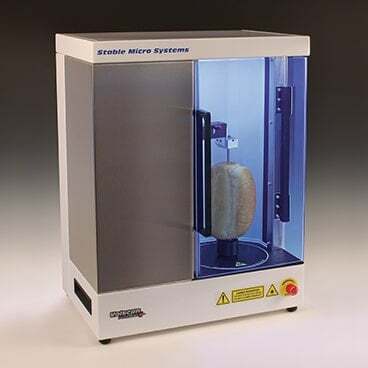 This instrument rapidly provides the most accurate volume and density data essential in the fields of both Quality Control and Product Development. 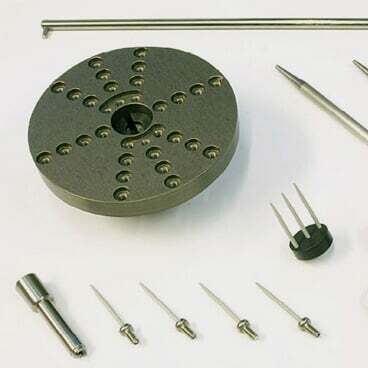 As with all Stable Micro Systems products, the instruments are supplied with lifetime application and technical support. Mercury displacement techniques represent a toxic risk to the environment and are therefore illegal in many countries. The VolScan Profiler has been verified as accurate as mercury displacement method. Gas displacement techniques usually measure very small samples or otherwise attract a high instrument price. The VolScan Profiler has the largest measurement envelope in its class. X-ray techniques are expensive and present a health and safety issue and therefore require fully trained operators. The VolScan Profiler uses an eye-safe laser and therefore is the safest procedure for density determination.